I love a fun party mix and they are even better when wrapped up in cute packaging. This valentine trail mix meets both of those criteria. 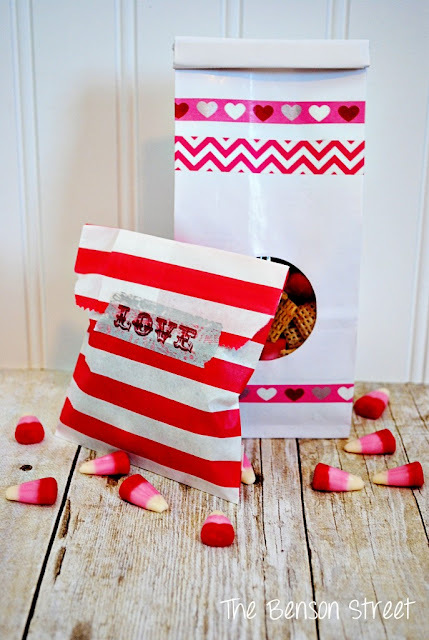 And there are two different cute packaging ideas that you can use with any of your favorite Valentine's Day treats! You can check out the recipe for valentine trail mix over at The Benson Street.